In the above picture the 3-Amp fuse has been replaced with a 20-Amp fuse with dramatic results. The result was a complete destruction of the VCR at a replacement cost of $600. If the 3-Amp fuses do blow, you may try replacing the fuse with a 5-Amp fuse per the manufacturer's suggestion. 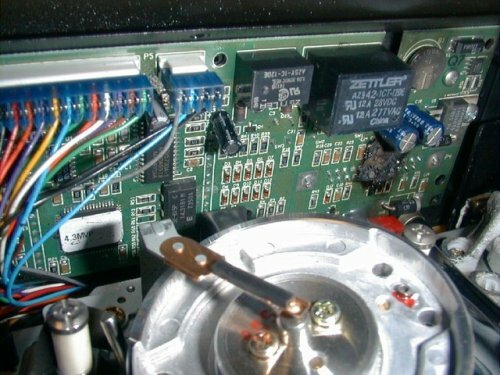 Should that fuse blow, the VCR or cable has a short and needs to be sent in for service. This damage happened to the VCR as soon as it powered up the first time. Did they replace it? Nope. They claimed that was not their job to the Transportation director of this fleet. Now they do not install in his fleet any longer.